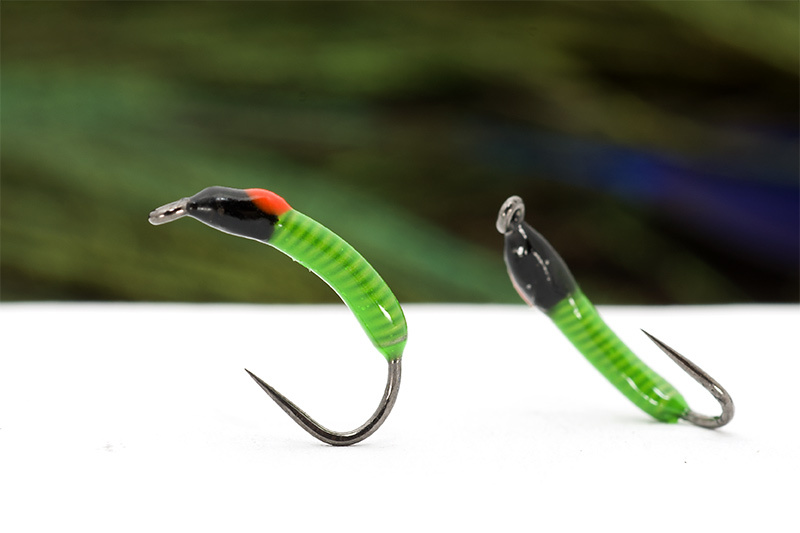 Not , in these days when colored resins are available, the “old” treatment is not needed because with these modern resins this kind of fly can be tied in 3-6min depending how many colors a tier wants to use. 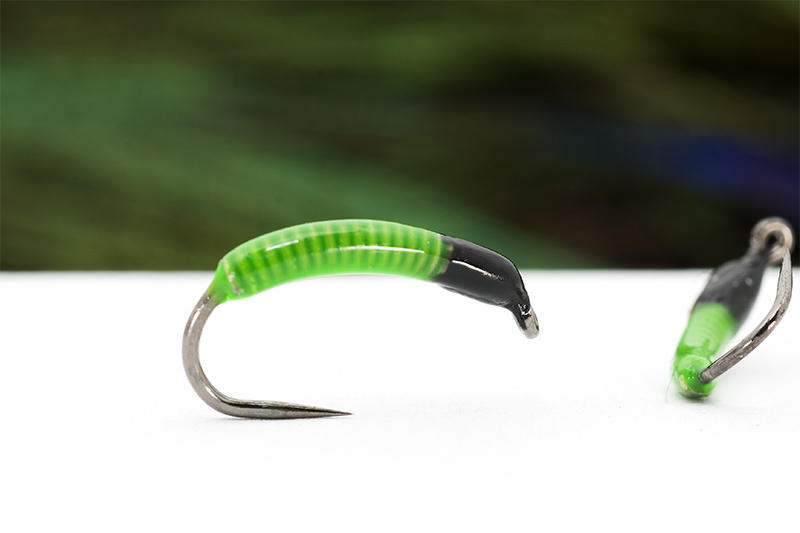 How to make them much faster is simple: just wrap the lead wire, coat with the colored resins and that is is! Bellow are those tied by me these days with chartreuse/black and orange. These versions represent a ryachophila larva ( the free swimming version ). 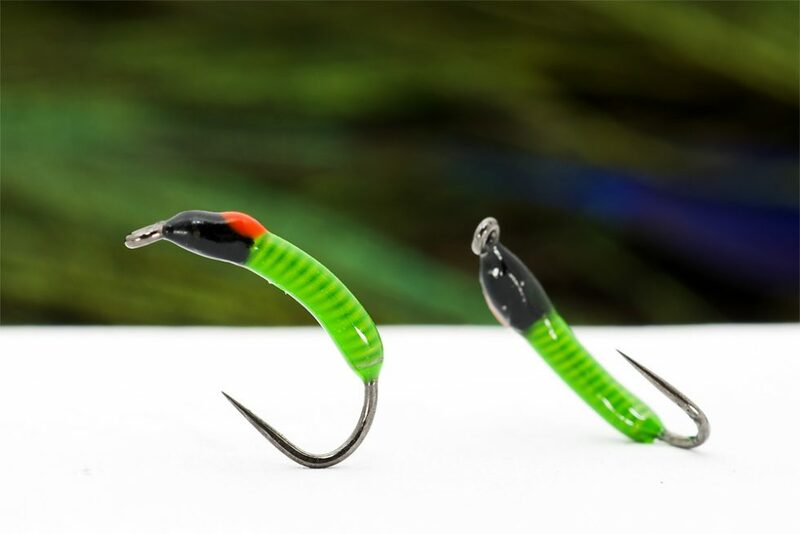 With slim profile, tied small, this fly will sink fast and will remain balanced ( due to the fact that the lead wire is added on the entire length of the hook shank ). 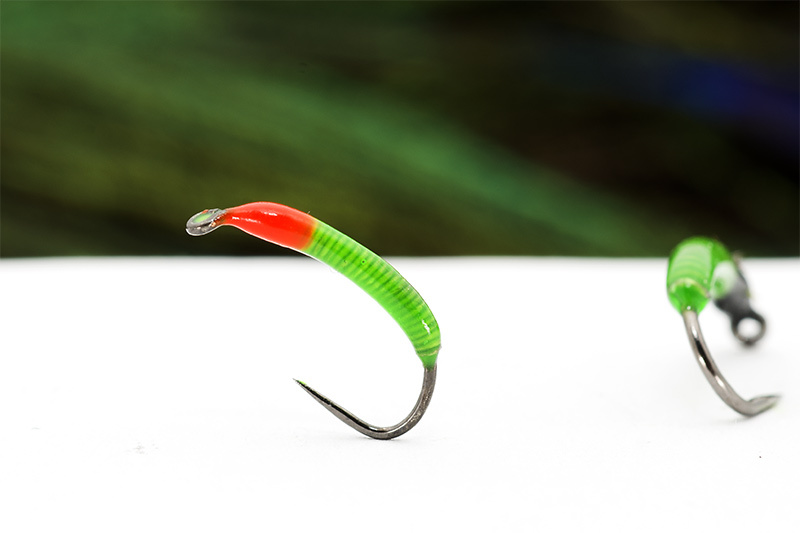 There is one big secret on this fly: to remain small. Means the hugest and the biggest should be made in size #14. The most successful size is #16-18. ‹ Previous post Vosseler Vice - the winer is.....? !